The poor Indian farmer has rarely become a national issue before elections and for them, it must be a pleasant surprise this year. Politicians have often worried about their vote during individual state elections, but even there, farmer or agricultural concerns have rarely been a big, decisive factor. From time to time, when agricultural distress and farmer angst boils over, a state chief minister might waive off a loan - or promise to do so. 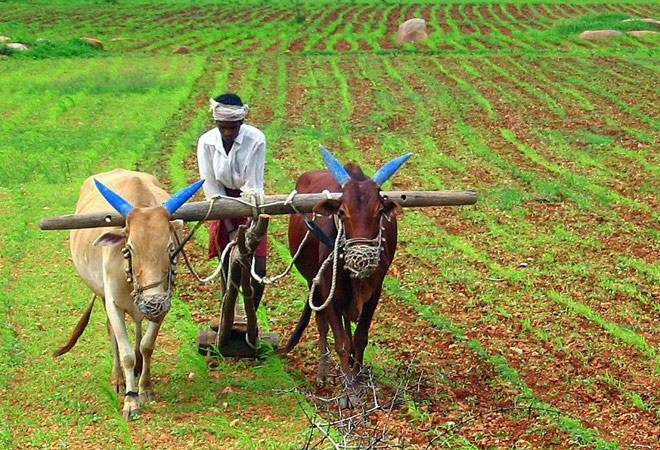 But the union government rarely thinks in terms of what is the future of farming and farmers in India, though according to the last census, almost a third of the country's population was directly involved in farming - either as a cultivator or as a farm labourer. The problem is that first farming remains a state subject so most central governments do not think much about their problems unless the rains have failed, and rural consumption is down or something similar. The other problem is that in terms of vote banks, even in most states, politicians woo specific castes instead of the farming / agricultural community as a whole. Finally, there are specific interest groups that have clout - such as sugar cane farmers for example in UP or Cotton Farmers in Maharashtra - and the politician would rather focus on them than try to lose sleep over the total farming community. At the same time, there are often pithy slogans or big goals announced for farmers in the vaguest of terms - from the era of Jai Jawan, Jai Kisan to the current promise of doubling farmer incomes in five years. But the problems for the farmers remain year after year. Indian farmers have generally shown a tendency to bear a lot stoically, come drought or flood but in real terms, their incomes grow at a snail's pace -- in fact, it has not grown at all over the past four years. But of late, farmer distress across the country has increased so rapidly that politicians and governments at every level has been forced to sit up and worry. The last year has seen more vocal farmer protests than earlier years, and farmers, irrespective of their castes, have been a significant factor in elections in both major and minor states. There is a growing worry among politicians even at the centre that farming issues could become a major factor in the 2019 general elections. Which is why both parties are scrambling to appear farmer-friendly - though with limited success. The problem is that for too long, the solution favoured by most politicians while wooing farmers has been either the Minimum Support Price (MSP) or the loan waiver. Both make for grand announcements but help relatively few farmers, while also wrecking government budgets. The current NDA government thought that announcing a high MSP would do the trick, especially when it covered a large number of crops but found to its dismay that it turned out to be a damp squib. The problem was that the government could not buy everything that every farmer produced at MSP - and there were few takers among traders who would be willing to pay MSP when there were enough sellers willing to take any price they offered during a bumper crop year. The other problem was that MSP could not help every farmer - it would be of little use to the guy who grew a lot of vegetables. Loan waivers, though full of good intentions, are even worse though they helped win elections in the short run. The problem with loan waivers is that it works only for farmers with their own land who have also managed to access bank loans. For cultivators who have taken land on rent, it does not work - they typically borrow from moneylenders, not banks. Worse, loan waivers create a moral hazard - a farmer who has seen his loan waived once would tend to wait and delay repayment if he thought the government would announce a waiver again. Similarly, those who have managed to pay off their loans on time would feel cheated. The current thinking of a direct benefit transfer - a sort of minimum income - instead of a loan waiver is probably more targeted but it does not solve the real issues - that of making farming more remunerative and also making sure that the budget of the government does not take a major hit. Agricultural credit is a good idea in principle but it really helps too few farmers in India who are marginal cultivators. That is why other ideas like Kisan credit cards, crop insurance etc have actually not helped change the lot of the Indian farmer in any great way. I think that the problems in Indian farming can never be solved unless the centre and the states come together in a show of cooperative federalism as they did for GST. That is the first step. The other steps all require lots of political will, as most of them go against entrenched interests. For one, the Mandi / APMC model needs to be supplemented with other methods. This is difficult because state governments have often become shaky when they tried to dismantle APMC even partially. Many have blinked and rolled back their reforms and gone back to the bad old system. The problem is that while the original APMC method was supposed to aid local farmers who did not have the wherewithal to sell directly or transport their produce to far off markets, it has over time become prone to abuse. Over the years, different committees have proposed many solutions and the government could start by looking at all of them and see which are the most practicable. Contract farming, farming cooperatives and others are all parts of the solution, but for that different states and the centre need to come to a common understanding. And though they may heartily dislike it, even organised retail, including e-commerce in groceries and fruits and vegetables, is a good way forward to making sure the farmer gets the right kind of price for his produce. At the central level, there is much to be done in terms of better irrigation, better credit to marginal cultivators and providing access to better agricultural technology, along with some sort of farmer income guarantee/ subsidy. But finally, it is critical for the central government to worry about jobs. Eventually over a third of the country's population cannot live on agriculture - farming will just not be economically viable for such a large population. On the other hand, if people do give up farming, what kind of jobs will they do? Without a solution in sight, it will only create greater distress and unrest. Agricultural problems cannot be solved in a jiffy. But equally, no government - either the current one or the future ones - can afford to ignore it any further.